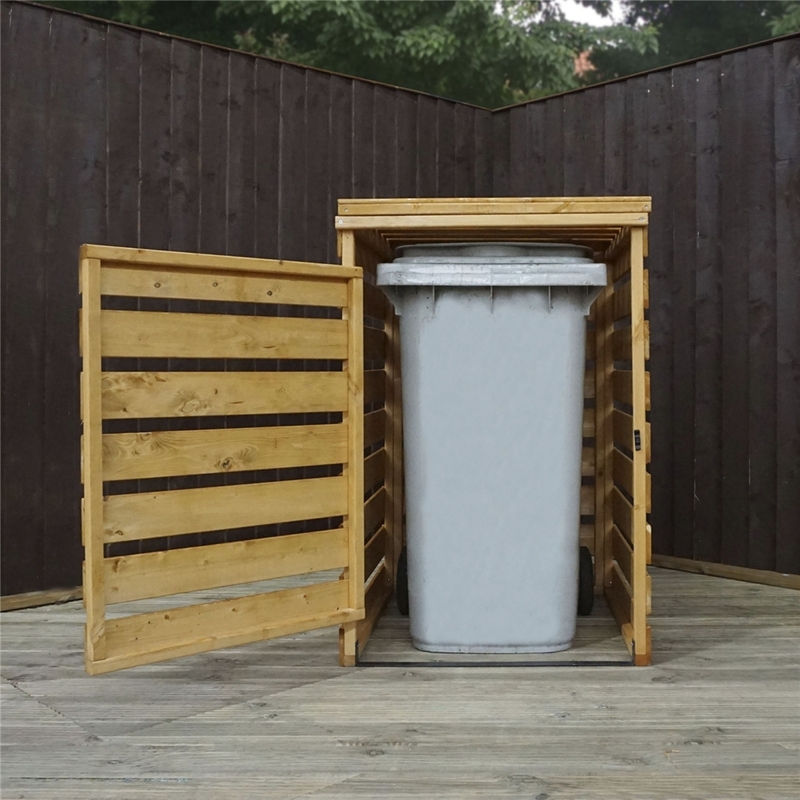 The 3 x 3 Pressure Treated Single Bin Store will keep your wheelie bin tucked away neatly in your garden instead of being an eye sore. 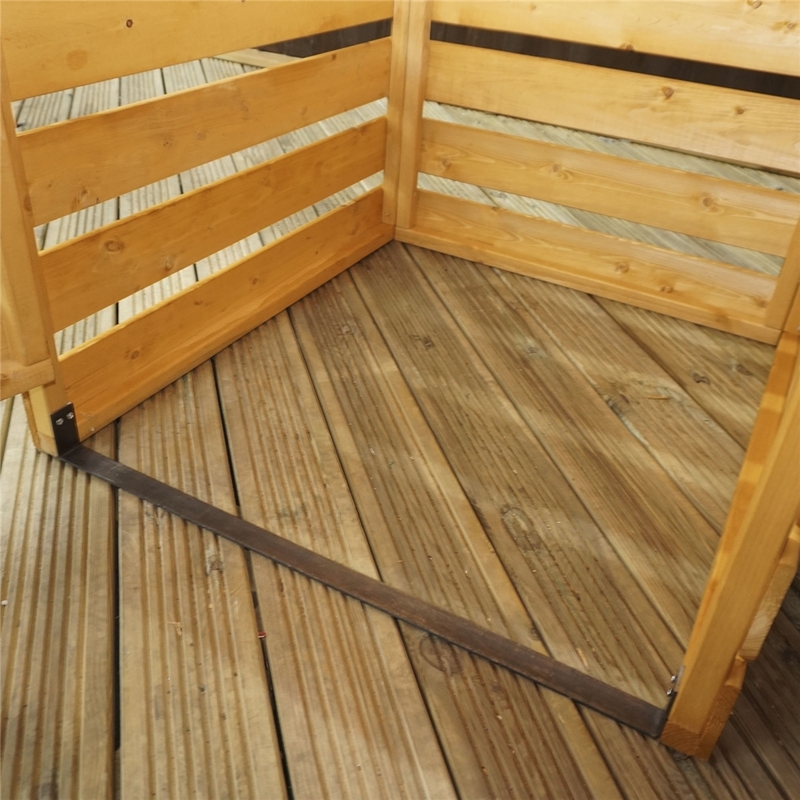 The 16 mm slatted cladding ensures air flow so no need to worry about smell or moisture issues. 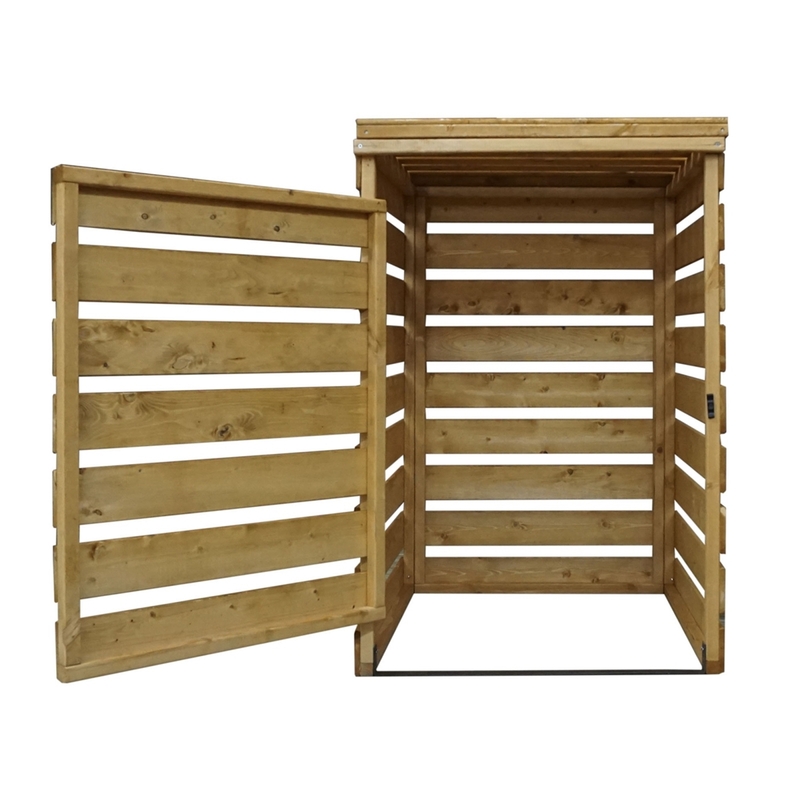 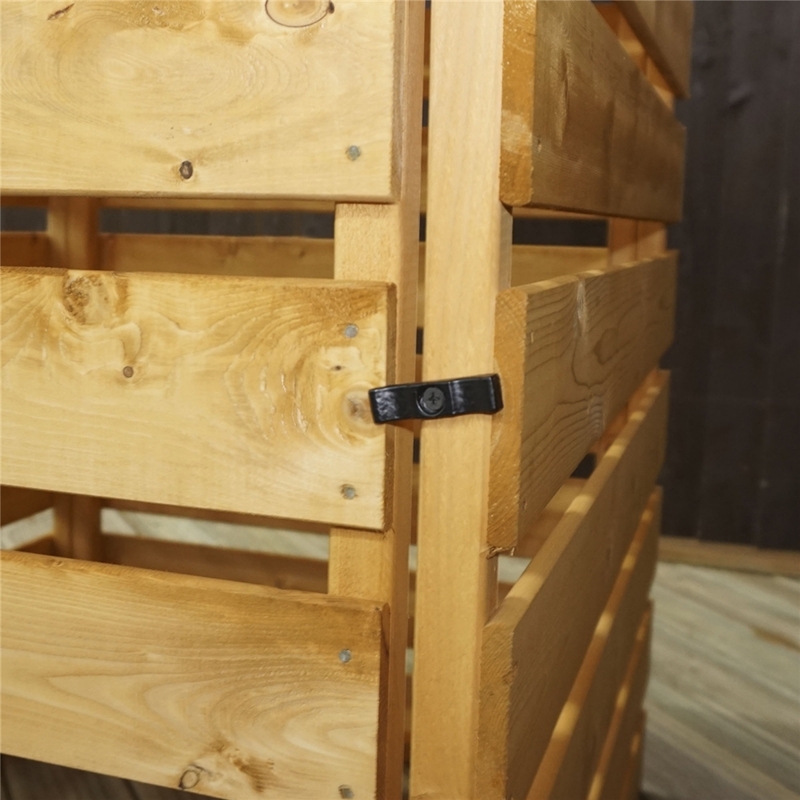 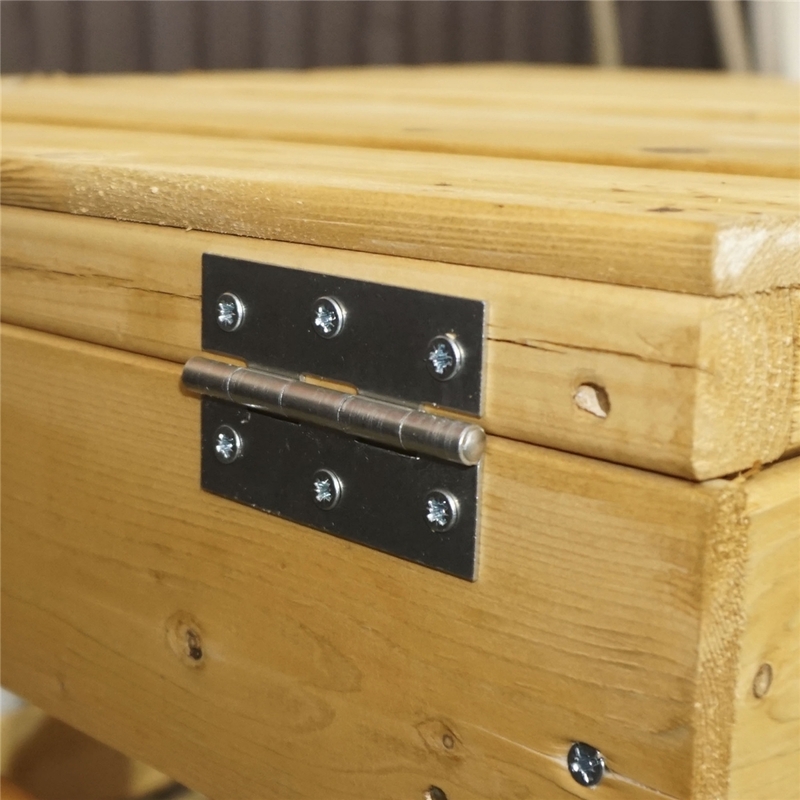 A hinged lid and turn button secures the bin store while giving easy and effortless access. 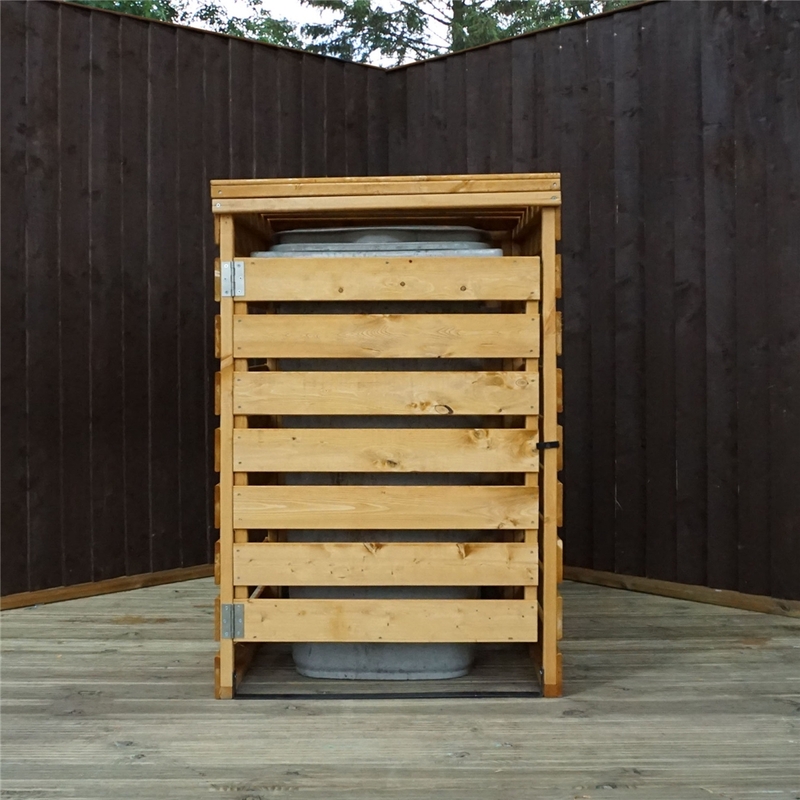 The Bin store has no floor so your bin will sit neatly inside. 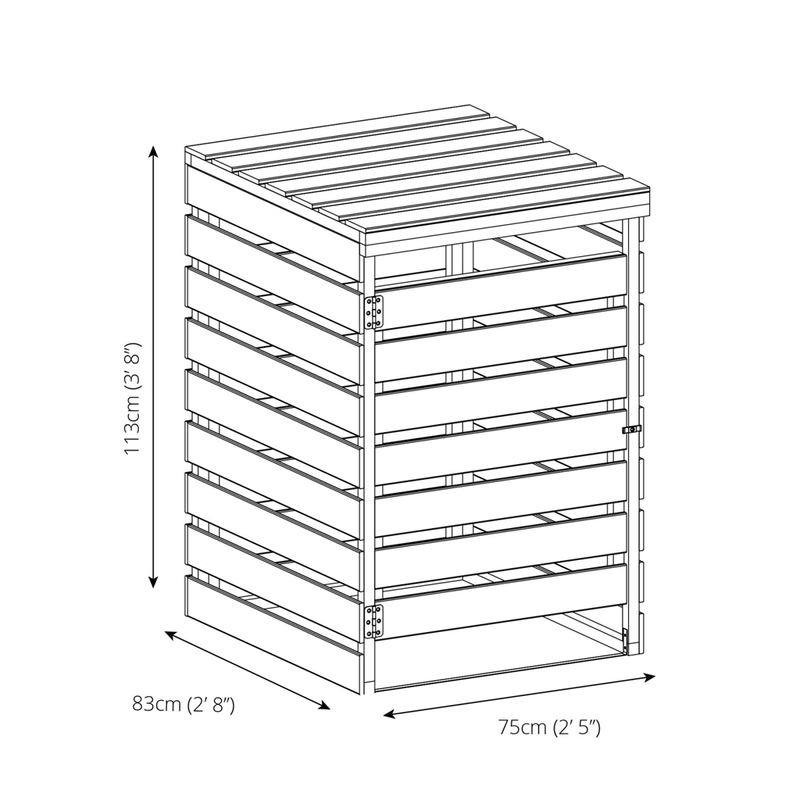 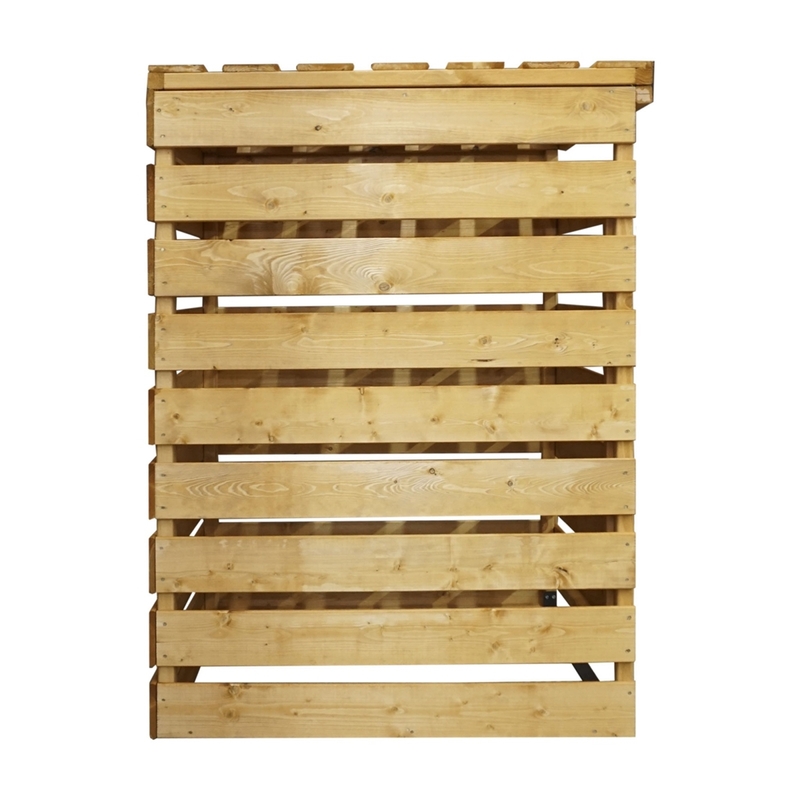 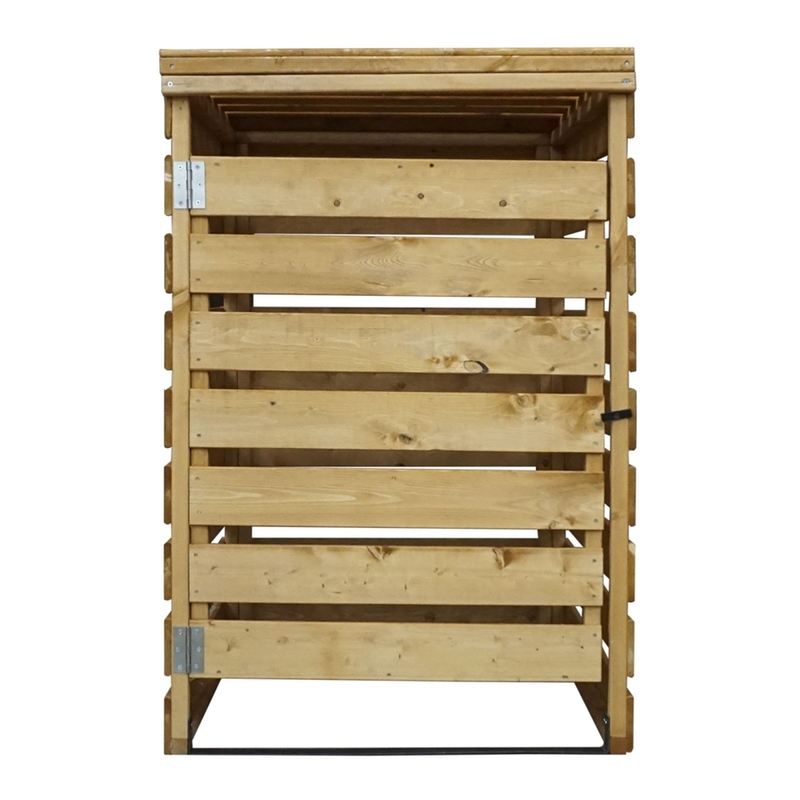 Building Base - We recommend that your bin store is situation on a level concrete or paved base. 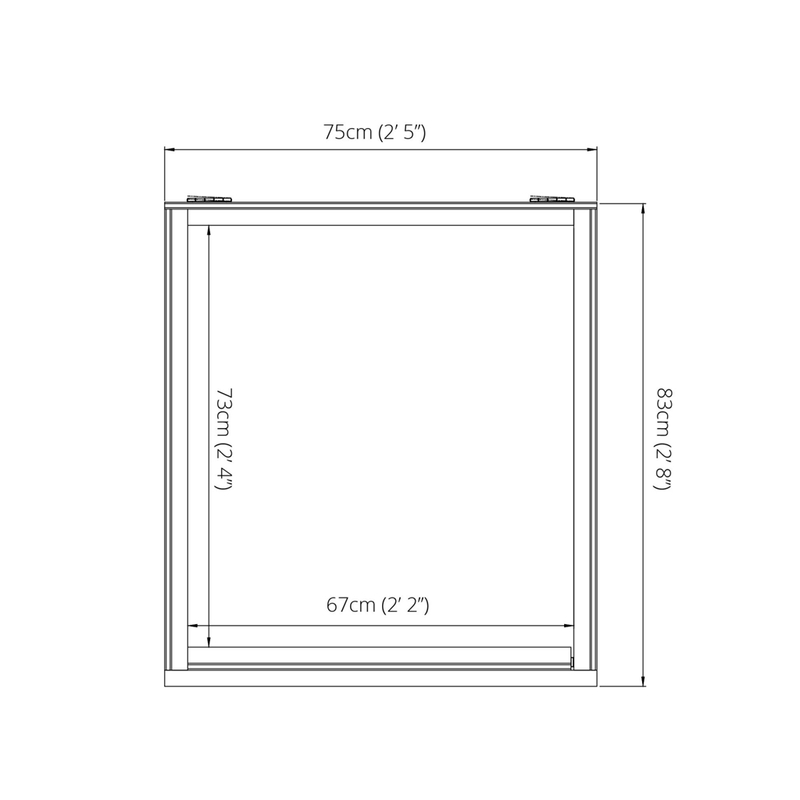 A full fixing kit & felt with instruction manual are included.